All files below are in PDF format and may be downloaded by right-clicking on the link and selecting ‘Save link as…’ from the menu options. The files are also viewable in your browser with Adobe Acrobat by clicking the link. If you experience any issues viewing or downloading the files, it could be a browser setting. You can find Adobe’s troubleshooting guide for all browsers here. In addition to the multiple manufacturer tests conducted, Kelso Coatings has commissioned several significant tests with important labs in Canada. Tested by PhDs and Engineers at Queens University and the National Research Council of Canada, Kelso Coatings confirmed that the CN2000® coating can resist extreme hydrostatic pressure and significant corrosion resistance. Originating in China, CN2000® has been applied to multiple airports and infrastructure landmarks in Canada and China in the last decade. In Canada, we have over 10 years of experience waterproofing structures where customers have seen astounding results. The bond strength when CN2000 is applied on the re-enforcing steel. The complete reports are available by contacting us directly at email info@kelsocoatings.com. Kelso continues to conduct research through Queens University engineering department. The ongoing research at Queens University, in collaboration with Kelso Coatings, has highlighted the potential of CN2000 coatings for reinforced concrete applications where corrosion of internal steel reinforcement may be a concern. Click below to see details of the ongoing research currently under way. The purpose of this project was to assess the effectiveness of CN2000B waterproof coating on reducing chloride ion penetration into concrete and evaluate the coating durability. The coating was applied on the surface of concrete specimens according to the manufactory’s requirements and procedures. The standard test ASTM C1202 was used to evaluate the CN2000B coating resistance to chloride ion penetration. The electrical conductance of concrete specimens was measured by the electric charge passed before and after the application of the coating. The durability of CN2000B coating was also assessed by using the ASTM C1202 test after the coated concrete specimens were subjected to different freezing-and-thawing cycles according to ASTM C666. Results from the tests show that a significant reduction in electrical charges was observed after the application of the CN2000B coating. This indicates that the resistance to chloride ion penetration into concrete specimens can be increased significantly by applying the CN2000B coating. After long-term freezing-and-thawing cycles, the electrical charges passed through all specimens were stable, indicating no deterioration of the coating. The visual inspection of these coatings confirmed that no cracks, spalling or chips were observed on the coatings. From this test, it is observed that the CN2000B coating might be able to resist the severe winter freezing-and-thawing conditions. Full reports are available by contacting us directly at email info@kelsocoatings.com. Permeability of concrete, combined with various levels of cracking, including micro- and macrocracking, directly contribute to migration of fluids, including water through the structure, which in turn negatively affects durability. The two fundamental damaging mechanisms associated with water intrusion into concrete are corrosion of steel reinforcements if water carries dissolved chlorides from salts or other chemicals, and freeze-thaw under cyclic temperatures which increases cracking further due to the expansion of frozen water. Revolutionary Concrete Solutions Inc. (RCS – re-branded to Kelso Coatings) uses a new product (CN2000) that seals the concrete surface through a high efficient cementitious waterproof coating that is applied to the concrete surface. The coating material combines polymeric and cementitious characteristics. As such, in addition to coating the outer surface, it also has the ability to continue the hydration process in presence of moisture for extended time and penetrates beyond the concrete surface and seals the micro pores and capillary tracts of the concrete. Thus, the performance of the coating is expected to improve with time. RCS has approached Queen’s researchers to establish a framework of thorough understanding of the mechanism by which the product actually works with concrete, and specifically to carry out a rigorous permeability testing of concrete coated with the product under conditions that simulate real life field applications. 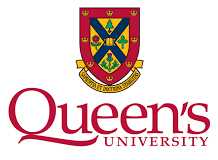 The research team at Queen’s University has the necessary expertise in the field to understand and explain the underlying scientific mechanisms behind the concrete sealing phenomenon of the new CN2000 coating, through a rigorous testing program. This report summarizes the work completed in the first phase of collaboration with RCS that was funded by the NSERC ENGAGE program to evaluate the reduction in permeability of concrete coated with CN2000. The test matrix was based on the application purposes of the CN2000 product and included 65 specimens. A total of 11 specimens were tested out of the 65 specimens representing the total number of tests. This represents five parameters out of total of nine parameters planned for the study. It was found that the use of CN2000 product helps delaying the water leakage by almost 22 times under an average water pressure of 3.3 MPa and an average triaxial pressure of 5.0 Mpa, when applied on the negative side. It should be noted that the 3.3 MPa water pressure is quite significant and likely higher than the pressures common (non-specialized) concrete structures are typically exposed to. The use of the CN2000 product helped reducing the water migration through the concrete samples significantly. The main objective of this study was to investigate the long-term effectiveness of CN2000 coatings in severely corrosive environments. Coated and uncoated steel bars embedded in mortar cylinders were partially submerged in a solution of 3.5% sodium chloride for a period of one year. With the samples only partially submerged, the test setup simulates a marine environment where the open air/saline water interface creates an environment conducive to corrosion. The test conditions are intentionally conducive to an accelerated rate of corrosion to complete the testing program within one year. In “real world” conditions, increased concrete cover, reduced concrete permeability and (for non-marine applications) less aggressive environments would result in significantly longer time periods prior to the onset of corrosion activity. Hence, the time scales in the present study should likely be extrapolated to a period of many years to correspond with realistic conditions. The corrosion resistance of steel reinforcing bars coated with a cementitious capillary crystalline waterproofing coating material (CN2000) was tested using the half-cell potential method according to ASTM C876. The coating is characterized by a novel eka-molecular sieve type structure which is breathable yet highly impermeable to water and possesses self-healing characteristics. The test program monitored the corrosion activity of 102 reinforcing bar samples embedded in mortar and immersed in a 3.5% concentration sodium chloride solution (similar to seawater) for a period of one year. For some samples, the coating was applied directly on the embedded reinforcing bar while for other samples the reinforcing bar was uncoated but the outside surface of the concrete was coated. Three different types of proprietary coatings were applied, supplied by Kelso Coatings. It was found that the coatings significantly delayed the onset of corrosion; in particular, the material CN2000 C+D applied on the reinforcing steel surface dramatically improved the corrosion resistance of the reinforcement over the uncoated control samples. 15 of 16 samples (94%) that underwent concrete surface coating demonstrated no signs of corrosion after one year of exposure to the chloride solution. The bond strength and development length of steel reinforcing bars coated with cementitious capillary crystalline waterproofing materials (CN2000) were evaluated using a modified pull-out test method. The coatings possess self-healing capabilities and are characterized by a novel eka-molecular sieve type structure to prevent moisture penetration. Following a study on corrosion protection, in which the coating showed a great promise, it was decided to investigate the effect of the coating on bond strength. A self-reacting inverted T-shaped beam was designed to simulate the stress conditions of flexural structural members. Six T-beams were fabricated, each of which contained eight rebar test samples. Tests were conducted at approximately seven days and at three months after casting to investigate curing effect on bond. Reinforcing bars coated with CN2000 B+C demonstrated better bond strength compared with bars coated with CN2000 C+D. This was evident by smaller slip and shorter development lengths compared to CN2000 C+D. The experimental bond factor of the 15M bars coated with CN2000 B+C was 2.0. The 25M bars coated with CN2000 B+C showed a relatively higher bond strength and their calculated bond factor was 1.2. These values are in the same range as those for epoxy-coated steel reinforcement.